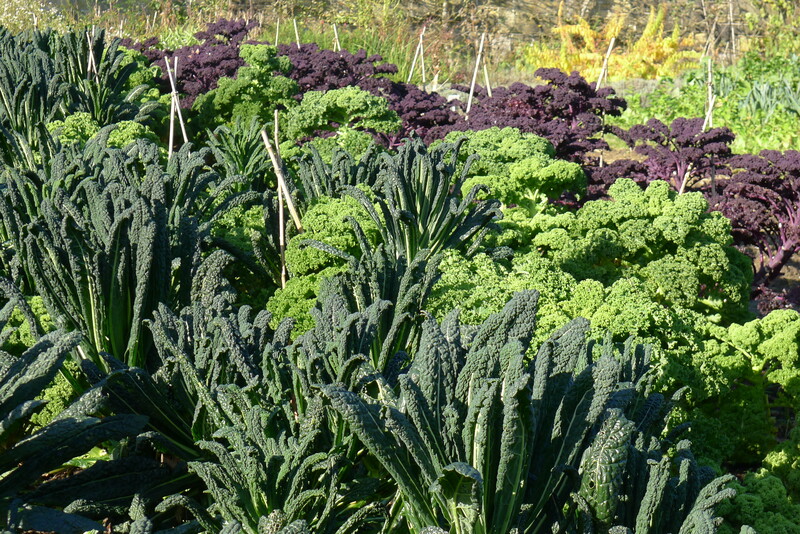 We already grow Kale ‘Black Tuscany’, which is one of the best winter vegetables I think, it grows well and gives a lot, the other day I was thinking about next year and one of the things that I want to grow more of is Kale. The past weekend I went over to see what Tom grows and was very happy with the look growing others gives to the garden, at this time of the year and all that extra we could sell, it would look great at our Christmas Fair this weekend in bunches at the front door. The other two that Tom grows are K.Dwarf Green Curled and K ‘Red Bore’. Today was the day that the Tomatoes came out, they have more gone over, I am sorry to pull them out but now is the right time, I had a week of cooking last weekend and was able to still be using them from the garden which was great for the guests. The past summer was a very good one for such things as the Tomato, it would have been better to get them in the garden two or three weeks before. 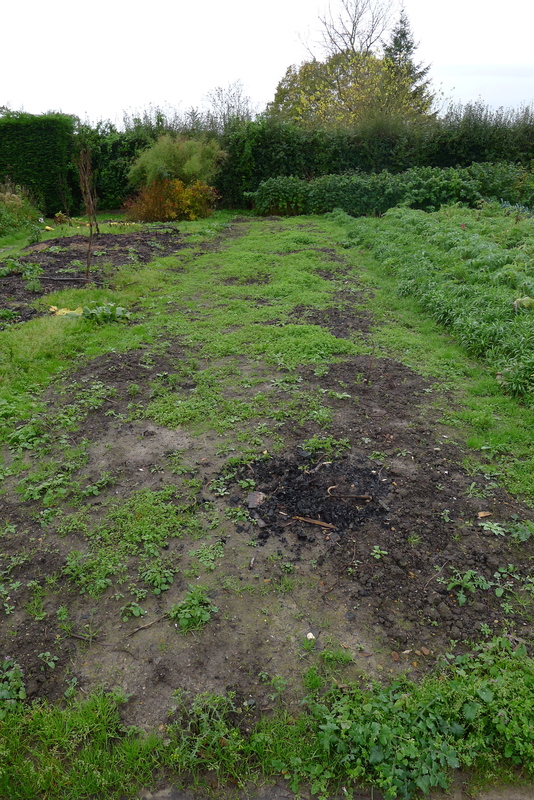 The seed was sown on the 30/04/2013, next year I will try and get the seed sown at the start of April. 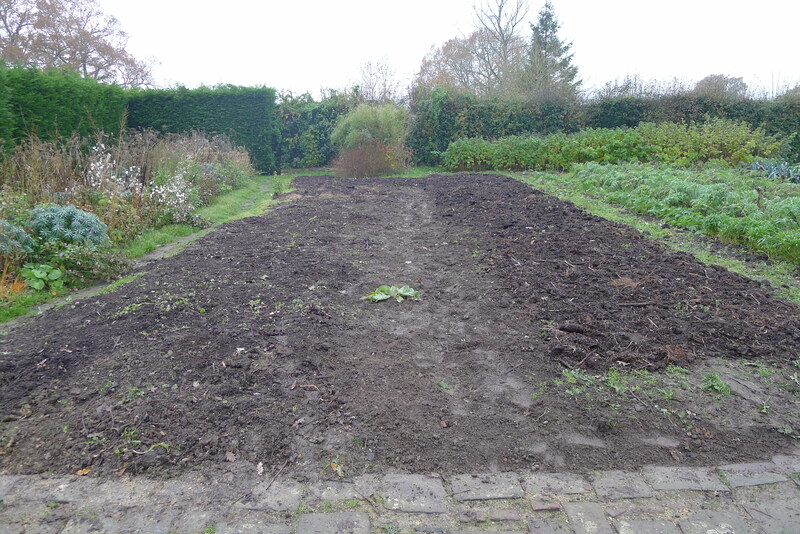 At this time of the year, weeding in the vegetable garden is a very different job than that in spring or summer, you do not need to worry about annual weeds, they can be dug in as green compost, you need to take out any weeds that are not annual (burn them or send them out with the other green waste with the dust men), then put your compost down and dig it all in, the weeds will die and break down in the soil before the spring.